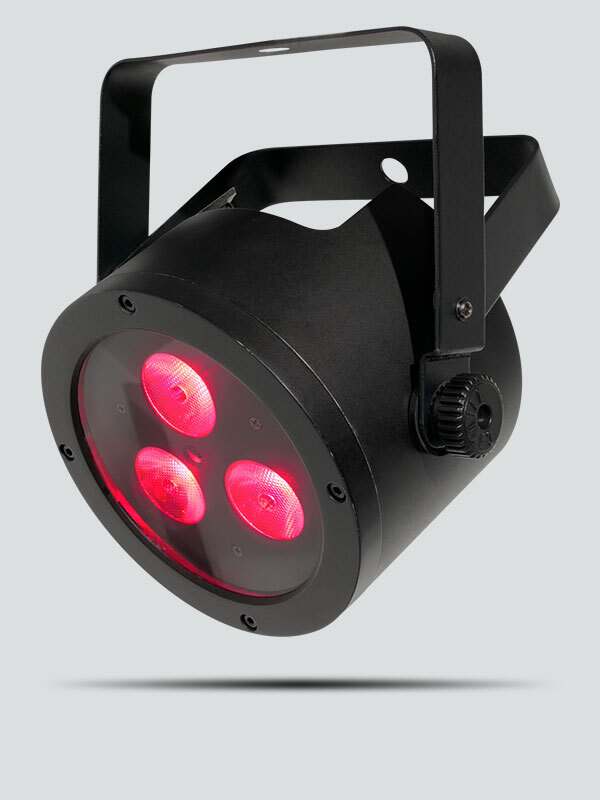 SlimPAR QUAD 3 IRC is a low-profile, quad-color (RGBA) LED PAR with built-in infrared remote control capability. 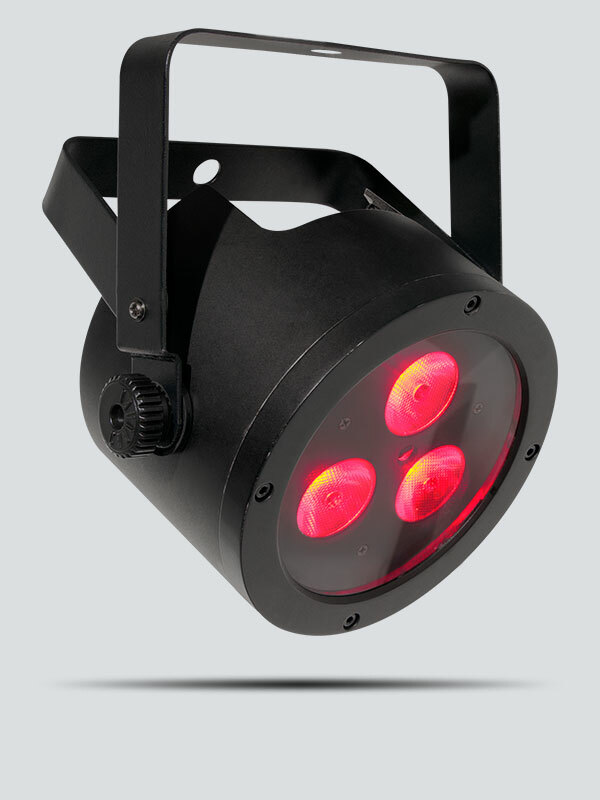 Punchy amber LEDs allow you to generate a broad spectrum of colors and achieve natural looking color temperatures, while the optional IRC-6 remote control provides an easy point-and-shoot operation of static colors and automated programs. 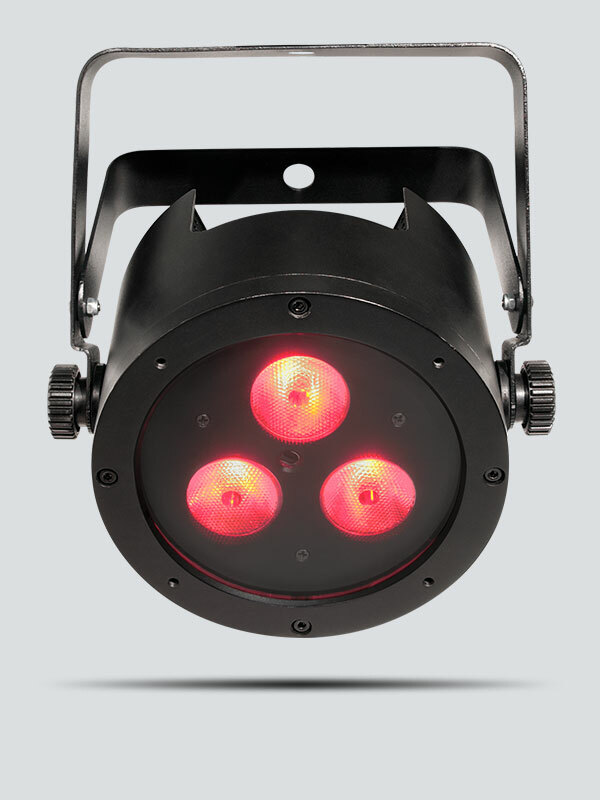 The SlimPAR QUAD 3 IRC is perfect for quiet applications and allows you to create any color without DMX by using the built-in digital display. 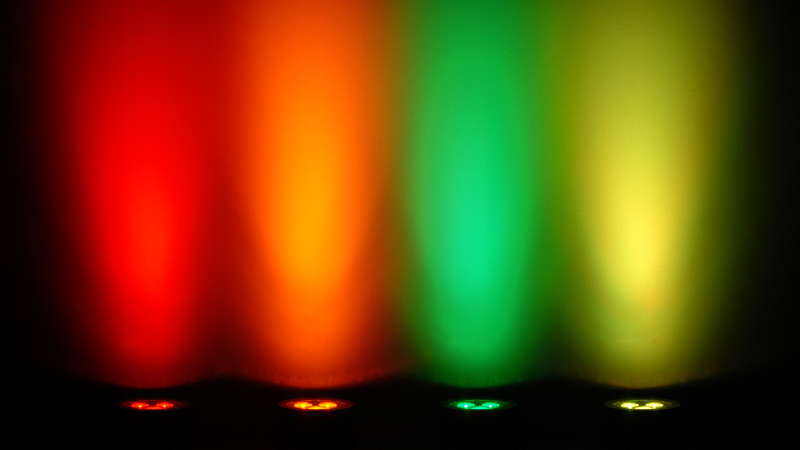 Save time running cables and extension cords by power linking multiple units or create coordinated light shows by linking other quad-color LED SlimPAR fixtures in Master/Slave mode. 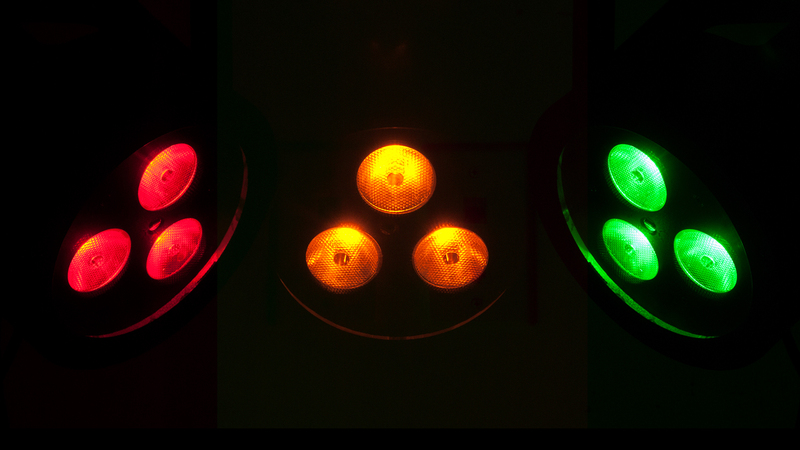 Its compact and lightweight design easily fits inside sticks of TRUSST®. 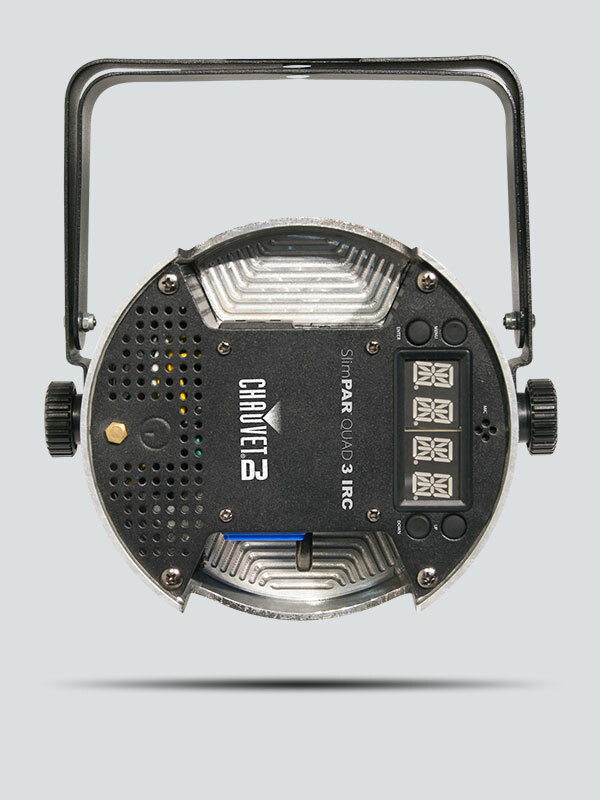 SlimPAR QUAD 3 IRC fits best in the optional CHS-30 VIP Gear Bag for secure and convenient transportation.